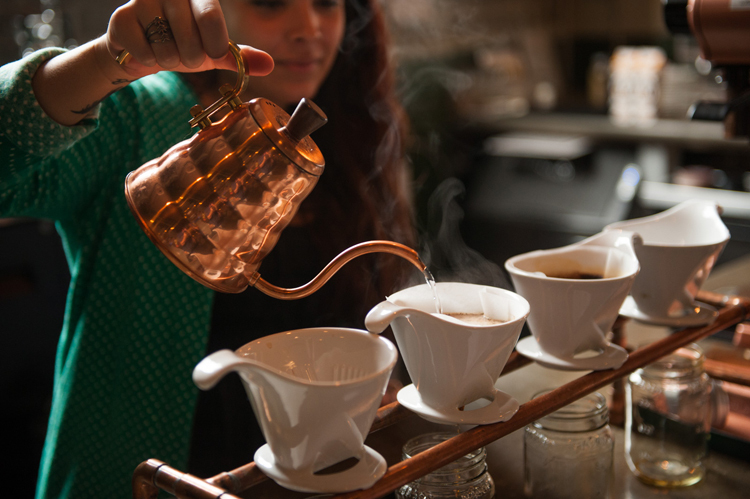 Sip the sweet taste of fall by visiting the following purveyors of deep-roasted goodness. Starbucks might be around every corner, but local roasters offer a tasty alternative with blends made from handpicked beans. Quirky atmospheres (a drive thru roaster? yes please!) 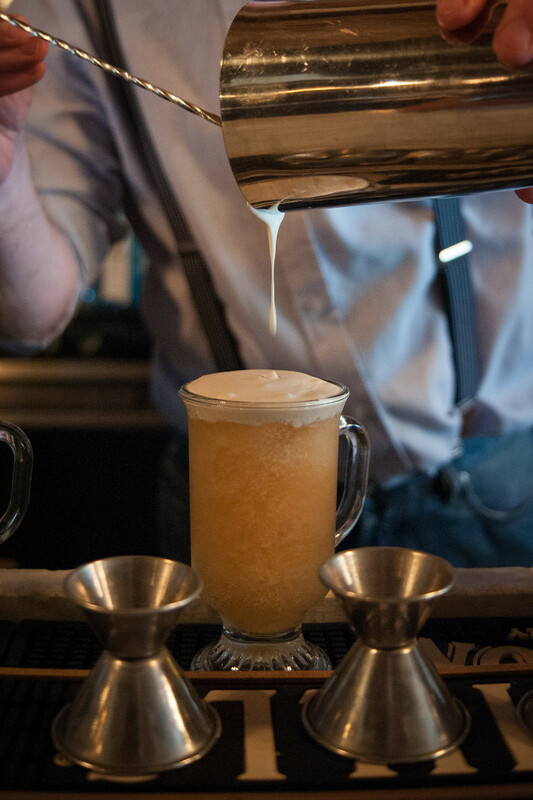 and people passionate about their brews are great reasons to treat yourself. The coffee roasters listed below sell their wares online, so fresh coffee is always only a click away. Feeling fruity? Savannah’s Perc packs a punch with its Flor de Cafe blend of tart granny smith apple, raisin and honey. Looking for every opportunity to add a little pumpkin flavor to your autumn diet? Mississippi’s High Point Roasters brews a cup of Pumpkin Spice. And for a taste that’s pure South, Charleston’s King Bean offers a Southern Pecan blend. As the bite of colder weather approaches and the leaves creep toward rich golden hues, coffee warms chilly hands and bellies. The handcrafted stories behind these businseses will warm your heart, too. Nestled in the Ozark Mountains, Arsaga’s Coffee Roasters is known for its small batches bursting with flavor, including a House Blend with swirls of chocolate, vanilla and red wine. Locals love to pop into the Fayetville location to stock up on their morning cups of joe, but you can find it online too. Big Bend Coffee has a Texas-sized heart. Part of the proceeds from Viva La Feminista! are donated to the local Family Crisis Center, and a percent of profits from the Big Bend of Texas blend go toward Big Bend National Park. Look for Big Bend Coffee all around Texas, and if you aren’t in the Lone Star State, buy the blends online. Bold Bean began humbly in 2007 with a metal building, roaster and green coffee. Today, the process includes coffee beans from around the world roasted in a 15-kilo drum. The Brazil Canaan Estate blend is sweetly sustainable, while Ethiopia Yirgacheffe Kochere sneaks in hints of nectarine. Taste your way around the world at their Jacksonville cafe locations or order online. Around since 2002, this Bama roaster takes the high ground in its business mission to purchase the best coffee available, roast it to perfection and then make it available fresh to anyone. With brews spanning the globe, from Bolivian to French Roast and Peruvian, Higher Ground offers 18 nonprofit blends with 10 percent of the proceeds going to organizations like the Alabama Environmental Council and Appalachian Trail. Find their signature Magic City Blend at markets and coffeeshops around the South or online. High Point scores major brownie points for its shipping policy, sending out orders the same day they roast for optimal freshness. Whimsical blends satisfy sweet cravings, with roasts ranging from Blueberry Cobbler, Chocolate Raspberry and Pumpkin Spice to Snickerdoodle and Southern Pecan. Stock up on fall flavors at their online store. Charleston welcomed King Bean’s roasters back after a stint saturated in Seattle’s rich coffee culture. Utilizing a top of the line Italian roasting machine, King Bean sells a select few varieties, including a buttery Southern Pecan blend. Taste the royally good brew at King Bean locations around Charleston or order the beans online. Krankie’s sells more than roasted-to-perfection steaming mugs. The coffee roaster combines a cafe, bar and entertainment venue for a full-on experience. Sip your cup of Krankies and listen to local bands at the brick and motar location or pop by the shiny silver bus on Reynolda Road. Blends are also available online. Coffee here comes straight from the family farm in Zimbabwe, although Leopard Forest’s selection has recently expanded to include beans from a few other locations, such as Nicauraga, Brazil and Guatemela. Choose from a large collection of flavors, including a smoky French Roast Blend and the Pumpkin Pie blend, which swirls together notes of pumpkin and graham cracker for a wake-up-worthy treat. Look for Leopard Forest in several locations nationwide or online. From Moroccan Mint Tea to Brazil Daterra Yellow Bourbon, Muddy Dog sells a wide selection of green coffee and tea, purchased directly from growers. 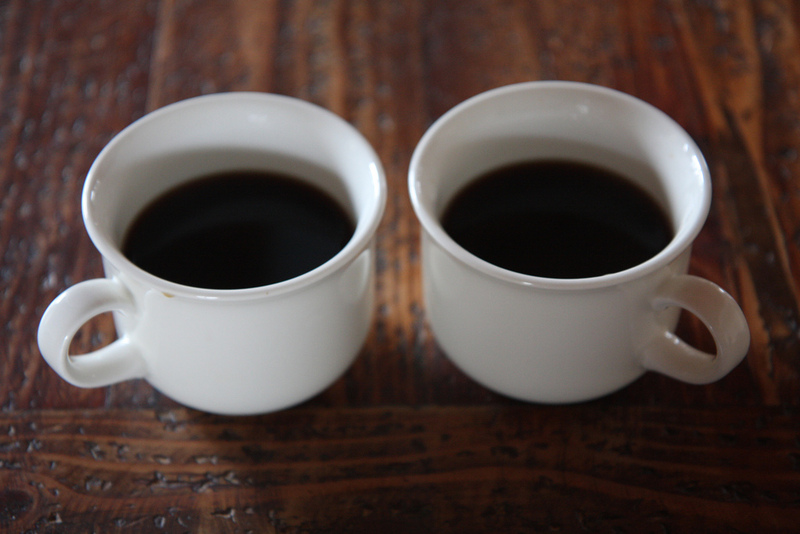 Sip with the satisfaction that your cup of caffeine has been responsibly sourced. Subscriptions are available online for espresso and coffee so that the fresh blends can be delivered directly to your door. Perc started when a traveling musician decided to try his hand at coffee roasting. Since 2010, Savannah has enjoyed the fruits of Philip Brown’s labor, namely Perc’s house blends. Think flavors from fruity (Flor de Cafe’s granny smith, raisin and honey blend) to rich (Tana Toraja AA’s hints of clove and chocolate). Find their brews in multiple locations around Georgia or order the beans online. Serving coffee with a quirk, this drive-thru roaster boasts a hefty menu that has been featured in Food Network Magazine. Come for a steamy cup of organic coffee and try their cold drinks too. Red Velvet blends the best of the cake’s creamy sweetness into a frosty jolt of caffeine. If Kentucky is too far a drive, find their roasts online. 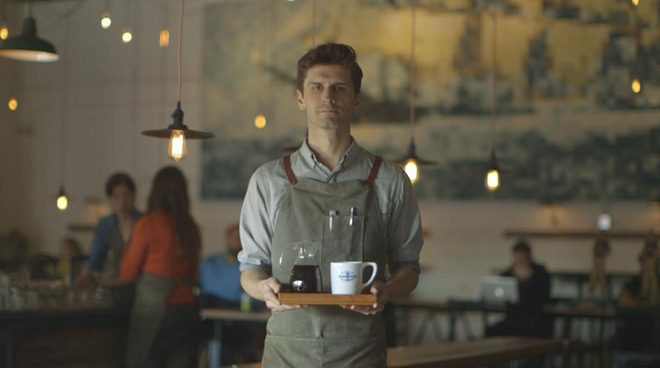 Reve brews the kind of coffee that brings neighbors together. This microroaster serves the greater Acadiana area, but its beans come from around the world. Start with a cup of L’Acadie, featuring syrupy sweet fruit and a tart apple bite. To taste a bit of NOLA no matter your location, NOLA Style Coffee and Chicory goes down smooth with a hint of deep dark chocolate. Broswe Reve’s selection of beans in their online store. Folks from Velo hit the streets with their bicycles daily to deliver fresh batches of roasted beans to residents around Chattanooga. The green approach continues back at the store, where complex blends draw inspiration from Ethiopia to El Salvador. Roasts are available online, too. Need an additional jolt? The first in a line of Athens, Georgia, music-themed coffee collaborations by Jittery Joe’s is now available. 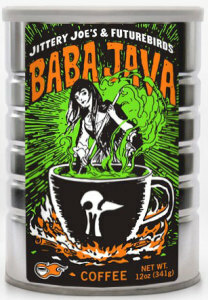 The coffee roaster is teaming up with Futurebirds to create a unique coffee blend called Baba Java along with an accompanying EP to celebrate Jittery Joe’s culture steeped in musical history. The first Jittery Joe’s opened in 1994 next door to the 40 Watt Club in downtown Athens, and when Jeff Mangum released his “Live at Jittery Joe’s” album in 2001, the cafe staked its claim as an epicenter of Athens history. Baba Java is described as having a prominent brightness complemented by orange zest and cherry flavors, while the album, which includes a cover of REM’s classic hit “(Don’t Go Back To) Rockville,” represents a new generation of Southern rock that goes down smooth. Featured coffee pic by chichacha on Flickr Creative Commons.